Raising funds means making sure your guests are engaged and having fun, but thinking of exciting and unique fundraising event ideas that will do this can be challenging. 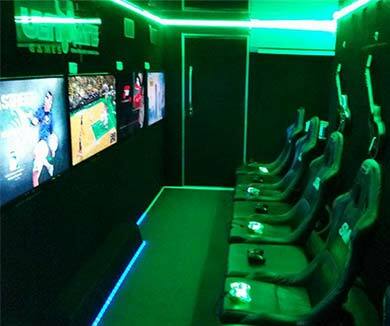 Encourage your attendees to dig deep and make a contribution by allowing them to take part in the ultimate gaming experience with Ultimate Games. 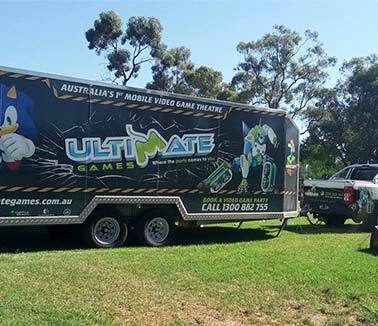 Our portable gaming tailer is decked out with all of the latest gaming technology such as LCD screens and gaming chairs. We also have heaps of games available including Xbox and Wii favourites. Up to 16 people can compete or team up at a time, which means more of your guests can be enjoying this amazing experience at once! Our experienced Gaming Coaches will be there to make sure everything goes smoothly and everyone knows what they are doing. You don’t need to be a gaming expert to enjoy Ultimate Games, we can teach you the ins and outs and make sure everyone is getting involved. Don’t organise the usual fundraising event ideas that everyone expects, stand out and wow the crowd with Ultimate Games. 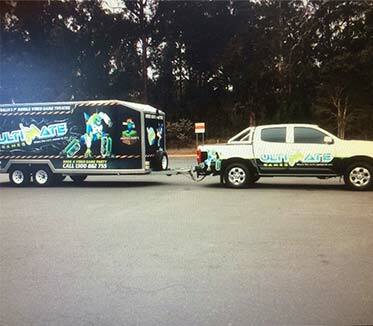 We can attend your event almost anywhere and are available during any weather. 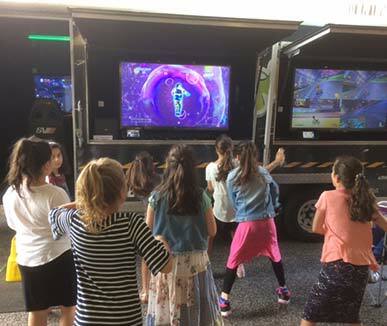 Our trailers are completely insulated and climate controlled to ensure your guests are comfortable and able to fully enjoy this unique experience. With us you’ll be able to attract more guests and bring in more funds for what ever cause you’re supporting. All while giving people an experience to remember, it’s a win-win! We take care of all the set up so you can sit back and relax or join in on the fun and rub shoulders with your guests. Our services suit all ages from kids to adults and we have a huge range of games of all classifications to choose from. 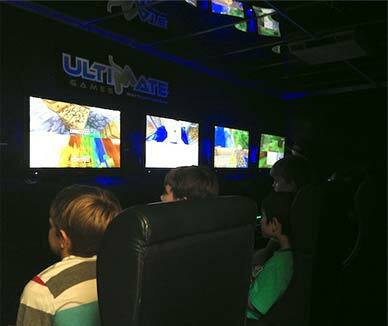 You and your guests will love Ultimate Games so much the only regret you’ll have is not thinking of us sooner!